Two great articles on food and food-related topics by the NYT this week. Almost makes up for the markets! This is their 1-50 list of things that restaurant staffers/waiters should never say or do (with comments from Colin). I have a couple to add from the Singaporean context (which have actually been said to me), for example, you should never say, when asked for cutlery, "we are washing them as fast as we can!" 38. Do not call a guy a “dude”. 39. Do not call a woman “lady”. Just in case anyone has been looking for presents for their favourite blogger-friend (cough, cough), I was looking through Amazon myself today and came across these brilliant books! Of course, I am the main proponent of, "who needs cookbooks when you have the web" and "too many cookbooks = too much cobwebs" but I was definitely seduced by this promising selection and hope you will like them too. 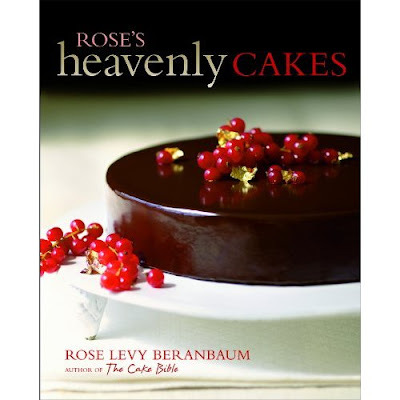 This sounds like something I could really learn from, a wealth of insider tricks and an indispensable addition to any serious home baker’s library, The Fundamental Techniques of Classic Pastry Arts covers the many skills an aspiring pastry chef must master. 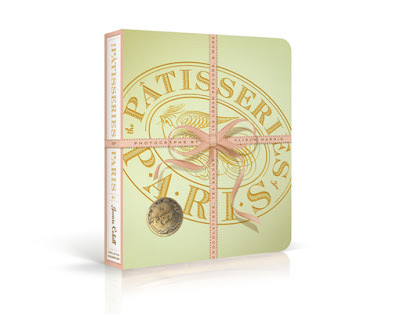 Based on the internationally lauded curriculum developed by master pâtissier Jacques Torres for New York’s French Culinary Institute, the book presents chapters on every classic category of confection: tarts, cream puffs, puff pastry, creams and custards, breads and pastries, cakes, and petits fours. 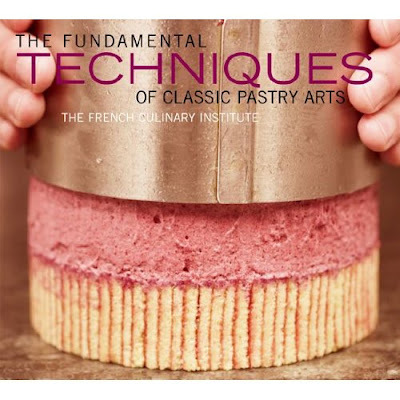 Each chapter begins with an overview of the required techniques, followed by dozens of recipes—many the original creations of distinguished FCI graduates. This charming book profiles almost 100 of the best patisseries, chocolate shops, tea salons, ice cream parlors and other sweet spots in Paris. Author Jamie Cahill also includes the best picnic spots and offers several lovely sidebars: a profile of a chocolate buyer for a fashionable gourmet store, a behind-the-scenes look at the daily goings-on in a patisserie kitchen and the history of three crucial items in the French kitchen. Cahill also mentions other useful tips, including brief descriptions of the various types of creams and cream fillings that form the foundation of French pastries. If you're planning to go to Paris anytime, it would be great to read this book and if you're not, then you have to get it, it looks so beautiful you could read it anytime of the year! You would think it's funny to buy an Asian cookbook but if the breathless hype is true and his food is as good and as exciting as everyone says it is, it would be worth it. We might not be able to eat at his restaurant but from what I've read, I'm already a fan of scary-smart, funny, and ambitious, the wildly creative Chang. The reviews do say that the recipes are impractically long and complex, though the ginger-scallion ramen recipe I read on the net sounded absolutely delicious. In 60 recipes, Magid offers up specific, easy to follow recipes for crowd-pleasers like oatmeal raisin cookies and flourless chocolate almond cake, as well as homemade variations on childhood all-stars like Girl Scout Thin Mint cookies and Hostess Sno-balls. Grown-ups will swoon over her Lovely Lemon Cake with marshmallow frosting, Minty Strawberry Shortcakes and her Chocolate Love Blossom-a multilayer chocolate cake filled with vanilla whipped cream and/or a red currant curd, and covered with a rich ganache. Though the titles may sound ambitious, most recipes are more than manageable. The photos from this book look gorgeous and I like the idea of making good-for-you also good-to-look-at and good-to-eat. I also definitely think organic, high-quality baking is where the future of dessert lies. Cute-as-can-be, buttery macarons capture the whimsy and elegance of Paris, where they're traditionally served with tea or wrapped up in ribbon to give as a gift. But the secrets of making perfect macarons have long eluded home bakers until now, in I Love Macarons, renowned Japanese pastry-maker Hisako Ogita brings her extensive experience to the art of baking macarons with fully illustrated foolproof step-by-step instructions. 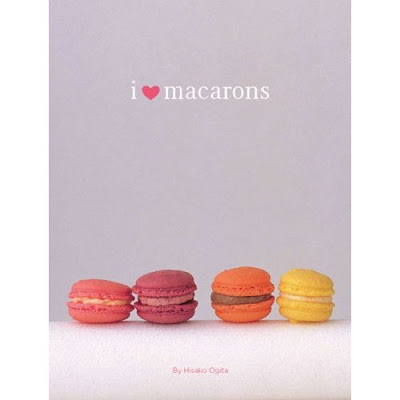 This book looks really charming, I'm not sure anyone can fully explain macarons, nor that you can learn it out of a book, nor even that I have the patience to try new and possibly unsuccessful variations of recipes but I would sure like to have a look! 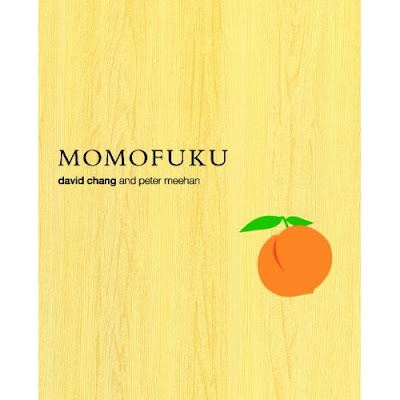 The cookbook was hailed by the Los Angeles Times as a “showstopper” and by Jeffrey Steingarten of Vogue as “the most glorious spectacle of the season…like no other book I have seen in the past twenty years”. This lavishly illustrated, stunningly designed, and gorgeously photographed masterpiece takes you inside the head of maverick restaurateur Heston Blumenthal. 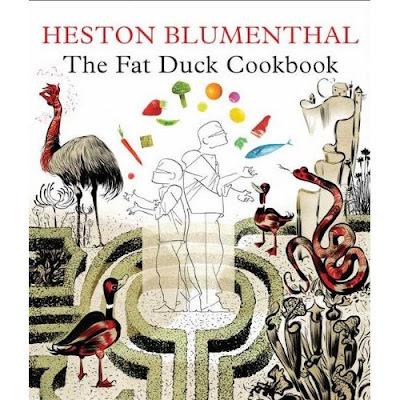 Separated into three sections (History; Recipes; Science), the book chronicles Blumenthal’s improbable rise to fame and, for the first time, offers a mouth-watering and eye-popping selection of recipes from his award-winning restaurant. He also explains the science behind his culinary masterpieces, the technology and implements that make his alchemical dishes come to life. I don't suppose any of these recipes would be easy to recreate but maybe one could learn a trick or two from the master. 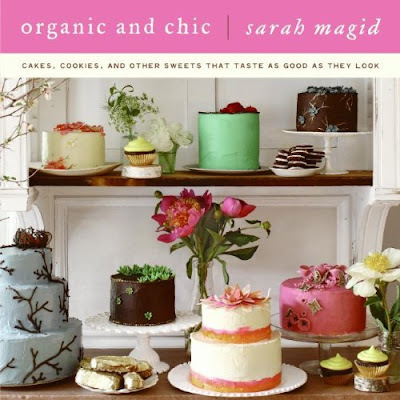 From the author of the standard classic, the Cake Bible, this is a large, heavy, detailed book of cakes, cupcakes, bars, baby-size cakes with excellent photography, all printed on heavy, high-end paper and with volumes listed next to it, then the weights of each ingredient, in both American and Metric form. Almost every cake is photographed, which I know many people find important in choosing a cook book. It sounds accessible, useful and delicious. Food has become such an icon these days: we place it high atop a pedestal of organic, locally-grown, grass-fed, extra virgin, cold-pressed, single estate offerings, and we worship it and flaunt it ostentatiously, the latest restaurant or dining experience worn like a diamond choker. Restaurants, the high priests of this new religion, certainly do their part to observe the solemn rituals, making us, the willing acolytes, believe that we absolutely, for our spiritual welfare, must have the catch of the day. It's about time someone held up a mirror to this silliness, exposing the aggrandisement and blandishments to the searing light of truth. You should think about it too: what do you consider to be the worst dining trends of the decade? I am partial to a good coffee, although I don't drink it often: when presented with the opportunity to have a rich, strong yet creamy cappuccino or latte, I can never resist. I've been very fortunate that in my travels, whether to San Francisco, Rome or Sydney, I've had many opportunities to sample and appreciate some really great coffees. That's partly why I always cringe when my Australian cousins visit town and ask, with a knowingly significant emphasis, "where can I get a good coffee"? The reality is, we haven't many that I could point them to. Until a few years ago, I'd have said, we haven't any, but luckily that landscape has changed. Black Coffee Dessert Bar is definitely on top of my shortlist (literally) when considering truly independent, quality-driven and best of all, local entreprenuers who are changing the way that Singaporeans experience western-style coffee and it's really about time. After all, we've all had bad coffees, the bitter, migraine-inducing New Jersey diner coffeepot-on-a-hot-plate type stuff that just wasn't worth the caffeine boost. In fact, Singapore has been engulfed by chains like Gloria Jeans, Tully's and Coffee Club (or whatever they call themselves next), largely I suspect because of the goldmine Starbucks got everyone believing in, about the same time that they convinced everyone that a cup of coffee-au-lait should cost in excess of $5. So in a sense, it's no wonder that a good caffeine hit has been both an elusive and confusing experience for the average consumer. It's also, in part, a result of Singapore'a corporate coffee culture, the fact that a coffee has become a codeword for an unneccessary meeting and the coffee itself, a convenient drink to supplement a short but heavy lunch. In reality, a good coffee should taste like a marriage of a rich, delicious flavour coupled with a full body and a luxurious mouthfeel, and the coffee experience should be one of enjoyment and contemplation, the same ingredients needed to make a good one. This is because a good coffee is a complex romance, starting with the high altitude, moderate climate, abundant rainfall and volcanic soils that produce some of the world's finest gourmet coffees in places like Guatemala, Hawaii and Columbia, then continued through the legacy of farmers who grow, pick and market the beans and actualized through the passion of qualified baristas who roast and percolate them to the right acidity and tease out fresh milk foam into imaginative "latte-art" patterns. It takes a pretty global village. The founders of Black, whom I know from school, have clearly not just done their research into the complex art of coffee making but also into the kind of atmosphere where you can enjoy your daily dose. Tony, the barista, gives me a quick lesson in how to get the best brew- their beans are ground fresh to order for every single cup and the same with the milk, poured and steamed for each cup. The remaining milk is thrown away so that each cup gets fresh milk- this gets a huge thumbs up for quality and service- I doubt any other joint in Singapore is as careful and passionate. The cafe itself is just as meticulous- the staff are friendly, the signage clever and the vintage furnishings and music were specifically chosen for a hip, yet informal setting, which is a great change from the Raffles Place area, where it is located toward the back of Chevron House, a stone's throw away from the MRT. Black, which prides itself on being a coffee and dessert bar, serves a variety of other beverages, such as a selection of teas, iced and authentic Italian hot chocolate and fruit mixes. Black also serves dessert and alcohol over the day (if you're lucky, there will be warm slices of luxurious home-made Valronha chocolate bananana bread - they are wonderful) but it is in the evenings when it becomes a venue for music sessions and parties. 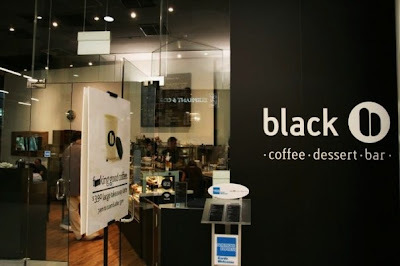 With little publicity and within a mere few months of its opening, Black went on to win a mention as one of the "Top five bars, restaurants, coffee shops" in The Monocle Singapore Survey 2009, probably a testament to the appreciation of its rare product and standards. In Singapore, there is this cake-dessert, which is colloquially referred to as "Strawberry Jelly Heart". What it really is, is layered cheesecake squares, topped with heart-shaped strawberry pieces, encased in strawberry jelly. These trays of layered cheesecake are sold in slim boxes, usually by some home-baker, and have gained popularity over last few years. Of course, it was only a matter of time before classes were offered and in reality, the core of the recipe is a simple one of a no-bake cheesecake. In fact, I'm not a huge fan of the combination of jelly and cheesecake and so I have never really pursued either the product nor the teaching. However, I seem to be in the minority. When I announced I was going to make these, both my mother and Z. were really pleased. What I learned, is that while this recipe is simple, the assembly presents some engineering problems that I didn't quite expect to encounter. The first part of preparing the base is simplicity itself. Crush 320g of digestive biscuits, melt 140g butter in the microwave, or in a saucepan and mix them together. Some people tell you to mash the biscuits with a mortar and pestle but I find the easiest way is to place them in a clear plastic bag and then steamroll them with a rolling pin. You can pick up a fruit bag from the supermarket for this purpose. The finer the biscuits are crushed and the more butter you use, the easier the resultant mixture will be to press into a pan. There's a balance between not wanting to add more butter than is necessary and the ease of working with a stickier mixture - too dry and you wind up having a very flaky and uncooperative base. The way to line the base of the pan is to choose a suitable size (in this case, I used a 24 by 24cm baking pan) and line it with aluminium foil. After your cheesecake is done, the foil makes it easier to lift the whole thing out of the pan. Press the foil neatly into the corners of the pan and over the outer edges. Similarly, press the biscuit mix neatly into the base of the pan. This is the part that the kids can help with - using the back of a spoon, it's fairly quick and easy to get the biscuit crust even and smooth. Chill the mixture for at least 15 minutes (I like to put my crust in the freezer rather than the fridge because it's quicker) and when you take it out, prick the surface at regular intervals with a toothpick. Before you even start on any of the liquid mixtures, I would suggest putting the kettle on for a fairly large quantity of hot, boiling water, as it is called for twice in the recipe. While it is boiling, cream one pack of Philadelphia Cream Cheese (250g) and 1 tsp of vanilla essence together in an eggbeater and start to fashion your strawberry hearts. The strawberry hearts themselves actually presented the largest challenge. Only the exterior of the strawberries are used to stamp out the shapes, so there is quite a lot of wastage. The recipes I read tell you to slice the strawberries in half, then stamp out the shapes with a 1 inch heart-shaped cookie cutter. I found it a lot more effective to core out the strawberry, the way that a sushi chef does with cucumber. By cutting around the strawberry, the outer seeded part was all the roughly the same thickness (as opposed to just cutting the strawberry in half, which produces pieces that have varying thickness). There were a few problems with my strawberries. The first was that the supermarket did not present much choice - either I could pay $8 for Driscoll strawberries from the US, or $3.45 for a smaller pack of unbranded but fresher Australian strawberries. I don't think it makes much difference, except that you should try to get strawberries that are slightly unripened. Mine were very ripe and you can see from the picture that they look a little too dark red. The second part is the stamping. I didn't have a 1 inch heart shaped cutter. What I did have was a drawer-ful of random shapes, left over from our nanny, who liked to use them to make cute little carrot and turnip shapes for stir-fry or garnishing. I was able, for example, to make an entire suite of card-themed shapes from club and spade-shaped cutters. The only heart cutter was but 1 cm long and in the end, I wound up using a flower shape which was the right size. If you use a smaller sized cutter, trust me, you'll be stamping for an uneccesarily long time. Even so, I found that strawberries don't stamp easily. They can be fairly thick and these ripe ones especially, were turning quite soft. More often than not, I found myself using a knife and slicing off uneven ends that straggled on the cutting edge. I guess this is one more reason to use less ripe strawberries and also, to remember to place your strawberries, after stamping, on kitchen paper, so that the mushy inner, pulpy side dries up. It was probably at this point that I stopped envying all the home-bakers who made strawberry jelly hearts for sale. It's not as easy as it looks, I thought silently, with my hands dripping in messy strawberry juice and fibres. At some point, the water in the kettle would have started to boil. Take a rest from the strawberries and in a medium-sized bowl, spoon out 50g of sugar and 10g of gelatin powder. Pour 1/2 a cup of your boiling water into the bowl and stir quickly to dissolve the gelatin powder and sugar. When it is cool, pour the gelatin water into the cream cheese mixture and continue to beat till smooth. This, essentially, is the cheesecake mix. Spoon into the biscuit crust, smoothen the top and pop it back in the fridge for 20 minutes. Warning, the cheesecake mix is slightly liquidy and discoloured looking, which might cause some concern but relax, this is normal. The other thing to do now is to dilute 2 packets of strawberry-flavoured Tortally jelly in 300ml of hot water and 300ml of cold water (I used water from the fridge, made especially cold). Then, you can either stir the mixture till it cools or put it in the fridge for 15 minutes (but stir occasionally to make sure it doesn't set and harden). Retrieve your tray of cheesecake from the fridge and press the strawberry hearts into the cheese at regular intervals. Envision cutting the tray into squares at the end of it and that will give you some idea of how far apart to space the hearts. You do have to push them a little into the cheese, otherwise, as I discovered, they tend to float up when you add the liquid jelly. When the liquid jelly has cooled (and hopefully, remained liquid), pour the jelly over the cheese layer, spooning it gently, so as not to dislodge anything. Then, place the whole tray back in the fridge for 2-4 hours. Just to be safe, I waited till the next day to unwrap my jelly hearts and upon pulling the tray out of the fridge, I was quite pleased at both the depth and the consistency of the jelly layer. Gripping the aluminium foil firmly with both hands, pull/lift the tray of cheesecake entirely out of the pan and onto a flat surface. If you try to cut the cheesecake jelly inside the pan, you will wind up with rather crooked lines and messy edges (witness my prototypes). What I learnt from this recipe is that even though the process is simple and no-bake, presentation is everything. These small steps, details like covering the tray base and sides properly with aluminium foil, spacing the strawberry hearts evenly, lifting the cheesecake out to slice on a flat surface and wiping the knife between each cut, are all essential to getting a product that looks respectably-made rather than crudely fashioned. I got many positive comments on my strawberry jelly hearts so that is proof that you can score a success on the first attempt with this recipe. Have fun! Some weeks ago, the PR company for Food Opera at the Orchard ION gave us a call and invited a group of bloggers to sample their new outlet and its offerings. While joking that this was quite far from our usual concept of posh-nosh, we were intrigued to see how this idea of a "high-end" food court would play out. On that day, we were shown to a private table within the food court but also given a tour of the premises, which included many esoteric animal sculptures owned by Dr George Quek, Chairman of the BreadTalk Group, who is behind this new venture. The idea of a "Food Opera" was to showcase the artistry of enterprising hawkers and to suggest an elegant ambience with unconventional furnishings and decor, like acrylic chairs, chandeliers and oversized picture frames. The first dish that was brought to the table was a plate of abacus yam from Mei Zhen Hakka Delights. My mother is Hakka and I've inherited very little appreciation for the cuisine, so it surprised me that I actually thought this dish very flavourful and nuanced. The second dish was Fatty Weng's Fried Oyster Omelettes. The oyster omelette of course, is a perennial favourite and this one even had some wok hei but as with most oyster omelettes, it started to cool and congeal quickly. The third dish was the smoked duck from Guan Chee Roasted Meats. This dish of sliced duck was so pink, succulent and moist, it looked almost like a plate of undercooked char siew, rather than duck. True to the image of "Food Opera", the plate of duck meat comes embellished with decorative flowers and garnishes. The stall also does other roast meats like roast pork crackling, which was good and char siew, which was not quite so good (tinted red and somewhat overflavoured in rose syrup). My favourite dish was Li Xin Chao Zhou Fish Ball Noodles. The fish balls are large and bouncy, yet light and effortlessly smooth- having been hand-shaped from fresh ground Yellow Tail, the taste is clean, without a fishy after-taste, even and sweet. These are the largest fishballs I've seen, and the unanimous opinion was that they are also some of the finest fishballs we'd ever tasted. The stall is quite an interesting one to peer into because you can see their whole process of shaping, chilling and cooking the fish balls. My second favourite is the red wine hor fun, from Ah Wok's restaurant: this was well fried, with a well-balanced flavour. It's a great dish to order because people do a double take when they first hear the mention of "red wine" in the same sentence as "seafood hor fun". Oddly enough, however, the combination works brilliantly, as the red wine, when exposed to the searing heat of the wok, quickly reduces to a jus that coats and enhances the umami of the seafood. This mini-restaurant within Food Opera sells zi char and is one of the places that you can get a larger table for a proper sit-down meal. The other dishes fed to us were the Hainanese Curry Pork Chop with Chap Chye, a sambal kang kong, an assortment of tofu and the Ayam Goreng Bumbu from Padang Padang and they were all pretty good. One dish that we were split on was Ah Wok's crispy duck, some people did like it but for me, it was too thin and dry. Lastly, we sampled the Chendol and the Gula Melaka Avocado from the Ice Shop (No. 7). I didn't like the Gula Melaka Avocado, the avocado content wasn't high enough and the whole thing tasted reminiscently of soyabean. The chendol on the other hand, was probably one of the best I've had in Singapore, with a powerful punch of coconut milk. It was a pity that the jelly strips were not home-made and had a tinted kelly green, rather than a faded pandan green colour to them but all in all, it was very satisfying. There were many other stalls that we didn't get to try- the 3rd Generation Laksa and Prawn Noodles, the Balestier Bak Kut Teh and the SGKuehKueh stall, an offshoot of the famous stall in Amoy Street. There is definitely reason, thus, to go back to Food Opera- while I don't know if Singaporeans would pay the premium in prices, just because you get to eat on proper ceramic crockery (as opposed to melamite ones), this place is packed out almost everyday, which goes to show, good food and a good location, is definitely the key to success.